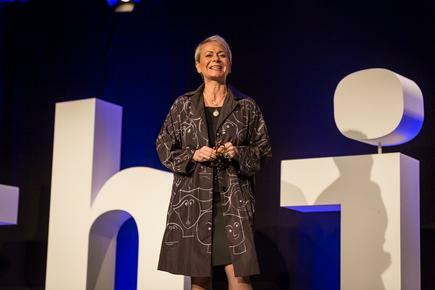 Today’s businesses are in the cusp of a new shift that happens every 20 to 25 years, says Harriet Green, chairman and CEO, IBM Asia Pacific. “Technology and architecture are changing at the same time, triggered by the massive influx of data growing at an exponential rate. This is changing the way we work and live,” says Green. 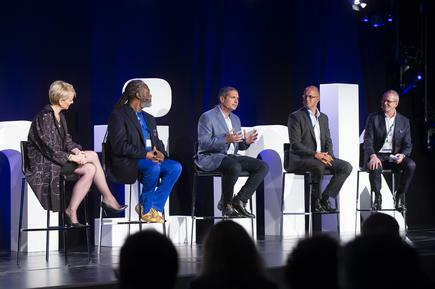 In her keynote at the Think NZ event early this week, Green points out incumbent companies are in a position to turn into disruptors and build smarter businesses with the use of data. Ninety per cent of data in the world today were created in the last two years alone, she says. “Our current output of data is 2.5 brontobytes a day,” she says, referring to the term used to describe a unit of data that is followed by 27 zeros, and derives its name from one of the largest dinosaurs. She says businesses have the ability to use artificial intelligence (AI) to mine this data and create insights that could provide a unique and differentiated competitive advantage. “This is your opportunity to go on the offensive and get really ready for disruption,” she says. She says while the first part of the digital disruption favoured a very small number of platform giants, she believes conditions going forward will favour incumbent businesses. This is because 80 per cent of the world’s data lives behind corporate firewalls, she says. The data belongs to enterprises, comprising of decades of customer transactions. She says recent cases of breach of trust of client data have brought to light the need to enforce guidelines on responsible and ethical use of artificial intelligence by corporations. Read more Machine learning - just how predictable are we? “Read the fine print, examine all contractual details when making big technical decisions around your data,” she advises. Green says IBM has invested over $37 billion to create a whole new set of capabilities around technologies such as AI, quantum computing and security. “We have acquired new skills and technologies and embedded Watson into our cloud so the true potential of data can be drawn out and used to augment decision making." 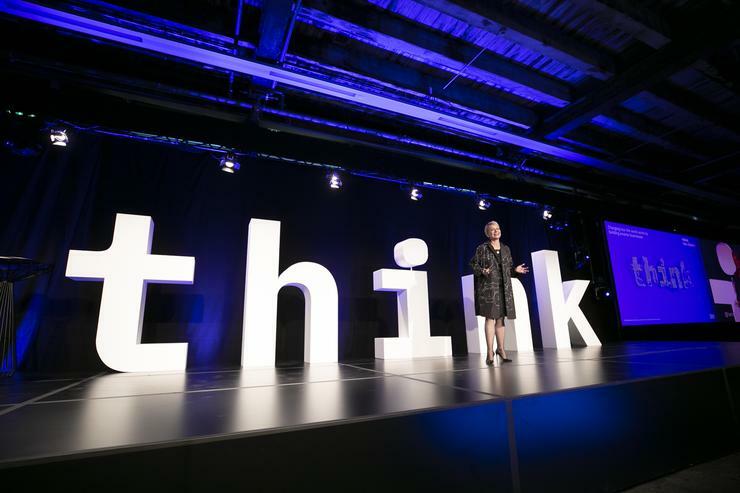 She says these technologies, while helping IBM clients to transform and become smarter businesses, are also being used to solve “large scale global problems”. 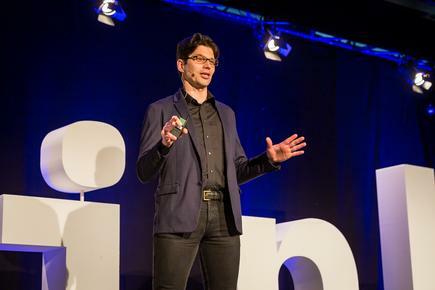 In his presentation, John Smith, IBM fellow, AI technology for IBM Research, reveals five technological advances that will help solve some of these global concerns. First, cryptographic anchors and blockchain technology will ensure a product’s authenticity - from point of origin to the hands of the customer. The labs, he says, have developed a computer smaller than a grain of salt. Each can cost 10 cents to manufacture and can travel with physical goods to verify they are handled correctly throughout the journey. Second, lattice cryptography will be used to fight cybercrime. The scale and sophistication of cyberattacks escalates every year, as do the stakes. In five years, new methods of attack will make today’s security measures woefully inadequate, he says. IBM researchers are developing a new security method built on this underlying architecture which hides data inside complex math problems (algebraic structures) called lattices. Third, small autonomous AI-powered robot microscopes, networked in the cloud and deployed around the world, will continually monitor the condition of water, the natural resource most critical to humanity’s survival. These microscopes can monitor oil spills and predict the threat of a red tide. In oceans, they can assess the conditions of planktons, which are like “canaries in the coal mine”. If something is threatening the planktons, they are threatening to all of us, he adds. Thus, it is important to study planktons in situ, or their natural habitat, not in laboratories or test tubes. Fourth, AI bias will explode but will be dealt with accordingly. A biased system has the potential for treating certain groups unfairly, he points out. In the next four or five years, AI systems will become mainstream, but only the unbiased AI will survive. He says new solutions will be developed to control bias in AI and champion AI systems that are free of bias. Fifth, quantum computing will be mainstream and available in colleges and high schools. Quantum computing, currently a “researcher’s playground” will will be used widely by new categories of professionals and developers to solve problems that once were considered unsolvable. “Technology as a force for good” is a key theme in all of these five developments, he concludes. At a panel discussion, Harriet Green joins P-TECH founding principal Rashid Davis, Air New Zealand chief digital officer Avi Golan, ANZ Bank director institutional relationships Matt Hearley, and IBM NZ managing director Mike T. Smith discuss how emerging technologies are helping organisations transform for the digital era. Avi Golan notes how companies think of digital as a department in IT. He says digital is about the technology that enables the organisation, that helps creates competitive advantage, and enables the organisation to improve the business and competitive landscape. He then talks about how Air New Zealand developed Oscar, its first chatbot, to help the contact centre provide services and support to customers. Within a month, it had 27 per cent success in answering customer queries. In four months, it had 50 per cent success. Oscar now has 75 per cent success, with 1000 conversations a day with customers. He says the airline is also experimenting with AI by using robots in the airport. Rashid Davis talks about the high school’s partnership with with IBM, where students learn firsthand what is required to participate in industries of technology and innovation. P-Tech allows students to move through the same sequence of courses, but depending on their strengths and needs. The curriculum incorporates mentors, worksite visits and employability skills, such as problem-solving and collaboration. Matt Hearley talks about the ANZ proof of concept which showed how blockchain can solve inefficiencies in the reconciliation of bordereau statements – which detail the insurance policies that brokers manage – and the corresponding payments to insurance companies. The project, he explains, created a ‘single source of truth’ for brokers and insurance companies, making the reconciliation process more efficient while also removing the need for paper documentation and manual intervention. This will mean the insurance policy is set up faster and reconciliation of payments are transparent without compromising trust. He says ANZ looked at the deployment not as a blockchain project but one that will solve a customer problem. 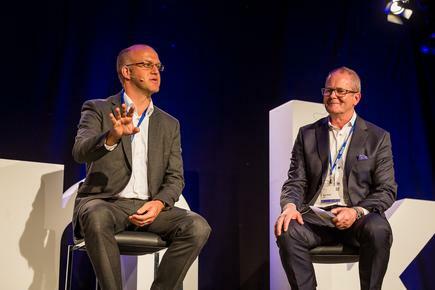 Matt Hearley of ANZ and Mike T. Smith of IBM NZ at the 2018 Think NZ in Auckland. How does the current processes work? What are the pain points? We tested to see whether blockchain was the solution, he says. Business leaders who have access to data can use AI to create amazing insights for their company and clients, concludes IBM’s Harriet Green. Related reading: Lessons on leadership from a space aviator | Speaking at Think NZ, Chris Hadfield transposes lessons from his experiences as an astronaut and commander of the International Space Station, into the need to prepare and react to complex change.